Award winning residential developer Anwyl Homes has opened the doors to three stunning show homes at its eagerly awaited Carr’s Rise development in Prescot, Merseyside. The three bedroom semi-detached Bretton, four bedroom detached Ascot and four bedroom detached Henley, are the first show homes to be revealed by Anwyl Homes in Merseyside and perfectly showcase the build quality, style and space that comes with these thoughtfully designed new build properties. Each of the three homes has been immaculately styled by a professional interior designer to highlight the flexible and well planned modern living space. The two four bedroom homes offer contrasting interiors; the Ascot is contemporary with a hint of glitz mixing luxury textures with clean lines, glass and metal to give a boutique hotel feel, whereas the Henley has been designed with a modern country look combining chunky woods, plaid linens and neutral chalky tones with luxe fabrics and stand out pieces of furniture. The Bretton complements the two with its subtle, simple styling in tones of burnt orange, silver, copper and grey that is both sleek and fresh while being comfortable and welcoming. Each property has something to impress and remember and has its own style and personality. 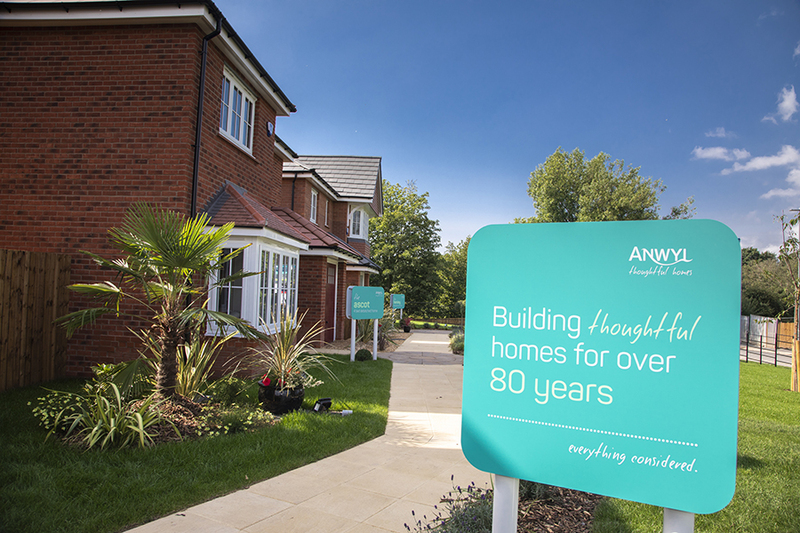 The first in the region for Anwyl Homes, Carr’s Rise is a £23million residential development of 119 high quality new build homes. Helping to meet demand for new homes in the area, Anwyl is building an attractive mix of three and four bedroom detached and semi-detached homes set in beautifully landscaped gardens. The development is part of the wider Prescot Park scheme; an exciting new project close to the centre of Prescot that will eventually comprise around 750 new homes and new public open space. Along with the showhomes which are open to view from 10am until 5.30pm from Thursday to Tuesday, Anwyl has opened a new sales centre at the development and released a number of properties for sale with prices starting from £224,995.